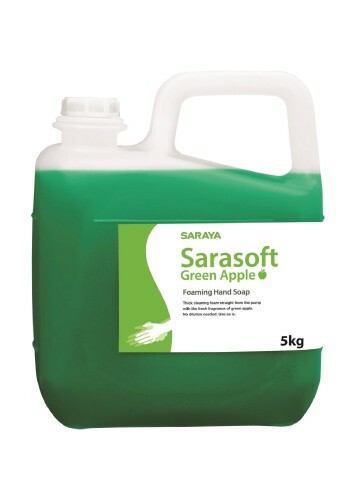 SARAYA Foaming Soap (Green Apple / Fragrance Free) - Goodmaid Chemicals Corporation Sdn. Bhd. A quality foaming hand soap designed for everyday use. A natural formulation that cleans hands gently and quality foam improves wash effectiveness by spreading quickly and evenly over all areas of the hands. Added antibacterial effect kills germs as you wash your hands.